The Internet of Things (IoT) refers to any physical device which can be connected to the internet - but isn't used to directly access the web like smartphones or computers. Refrigerators, televisions, cars, coffee makers, even city infrastructure can all be IoT enabled, and it's likely most people have at least one or two smart devices in their home. While the focus for IoT implementation thus far has been on home and leisure equipment, it's move into city infrastructure marks a shift in the way internet enabled devices are viewed - not simply as extra functionality for gadgets, but as integral components in how human society is run. It is therefore only natural to see IoT devices start to make their way into the healthcare industry. 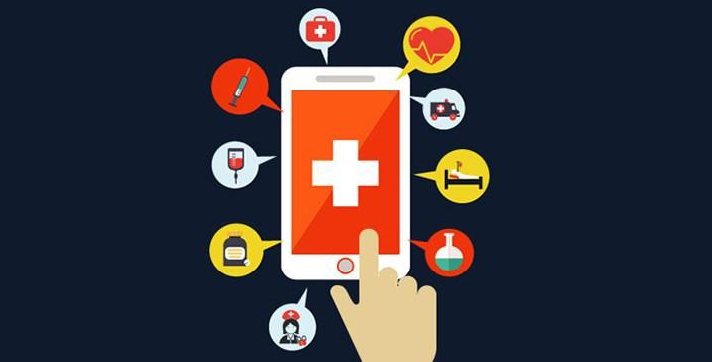 The ways in which connected devices can benefit practitioners and patients are many, and their proliferation can be expected over the next few years - with several applications already established or in development. OpenAPS (Artificial Pancreas System) was born out of a desire for a diabetes sufferer to have a more elegant method of monitoring and controlling their insulin levels. Type 1 diabetes sufferer Dana Lewis, together with her husband, Scott Leibrand, modified her continuous glucose monitor (CGM) using their own home developed software. This software allowed the data feed from Dana's CGM to communicate with her insulin pump, and automatically adjust the supply as required. The software is available opensource online, and has been adopted by many patients. While some might question the safety of altering the functionality of crucial medical devices, Dana Lewis says ""the relative net risk of this feature is far outweighed by the net benefit of providing users the ability to control their own devices." The OpenAPS initiative demonstrates a need from patients for new ways to manage chronic conditions, and an unwillingness to sit on their hands waiting for the medical device industry to get with the program - evidenced by the #WeAreNotWaiting hashtag which accompanies the project. However, EverSense has been paying attention to the OpenAPS initiative and has developed a subdermal CGM system which communicates with a smartphone app to provide glucose level information, and a vibrating module which alerts diabetes sufferers when blood sugar levels are too low or high. One of the biggest challenges for sufferers of multiple myeloma - a cancer of the blood which affects the bones - is the way the disease affects their ability to perform normal day-to-day activities. Medidata recognized the need to monitor patients' activity 24 hours per day and identified a type of IoT device which could facilitate it - the FitBit. The FitBit device is worn around the wrist, and allows wearers to monitor their daily activity - from the number of steps they make to how soundly they sleep. Medidata decided to work in partnership with the Memorial Sloan Kettering Cancer Center, to develop and test their own activity sensor technology to monitor cancer patients. Their cloud based SensorLink solution can track patient activity, and work in conjunction with the Patient Cloud ePRO mobile app. The app allows patients to add to the data gathered by the SensorLink activity tracker by self-reporting on factors such as appetite and fatigue - allowing practitioners to make more informed decisions on patient treatment. One of the key issues which face medical practitioners is making sure their patients adhere to their drug taking schedules. 2017 research by the Centers for Disease Control and Prevention identified around 50% of chronic patients as non-adherent. While the reasons for non-adherence are varied - affordability, lack of education/awareness, unpleasant side-effects - the results are the same: poor medication adherence leads to negative clinical outcomes. However, with medication adherence being something the patient must carry out themselves at home, monitoring can pose challenges for practitioners. Proteus Digital Health has developed a system which leverages IoT technology to help patients and practitioners monitor adherence. 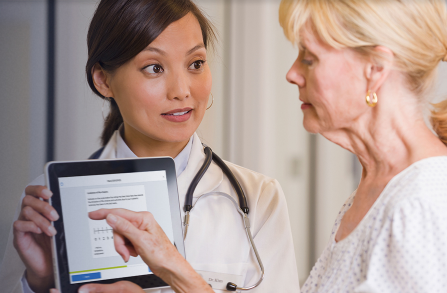 Named Discover, Proteus' system combines technologies - both physical and digital - to increase clinical outcomes by improving adherence. Tiny ingestible sensors inside the medication record when drugs have been consumed. This data is detected by a small wearable sensor, and then recorded in a smartphone application. Not only does Discover allow for a provable record of adherence for practitioners, the app functionality also allows patients to feel more engaged with their own treatment schedule. These are just a few of the ways IoT technology is being used to improve the lives and clinical outcomes of patients. As the technology improves and develops, its implementation in all aspects of healthcare can be expected - moving towards a truly connected healthcare industry. IoT technology in the medical device industry is expected to be a hot topic at Next Generation Patient Experience this year. Download the NGPX Agenda to learn more.